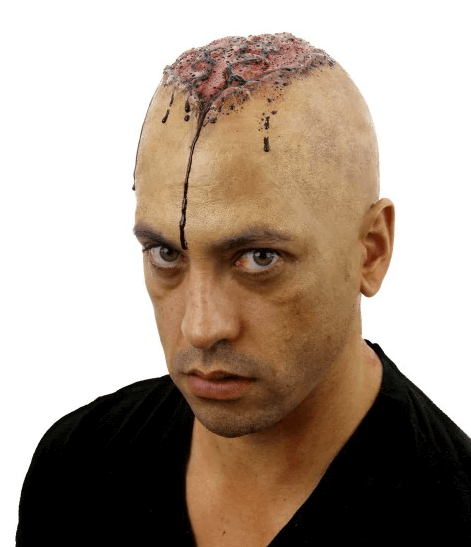 Stand out at Halloween with some gruesome Halloween makeup! It’s the perfect way to complete a killer Halloween costume. Here are some of our favourite Halloween makeup ideas, but be warned, these aren’t for those with a weak stomach! After you’ve grabbed yourself some fake blood and scar wax from the makeup shelves of your local Halloween store, go find yourself a pencil. 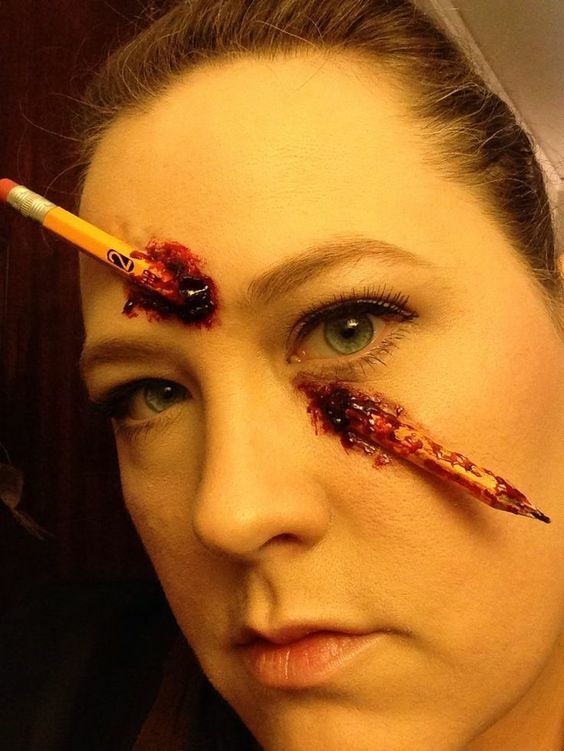 Snap the pencil in half but be sure to cover the sharp ends with some putty or tape to prevent the pencil from cutting you – as much as we’re trying to create a gory look, we want fake blood rather than real blood! Give this a go and share your photos with us on social media. This look goes great with an extravagant Halloween costume, or a very subtle one – you can let the Halloween makeup do the talking. 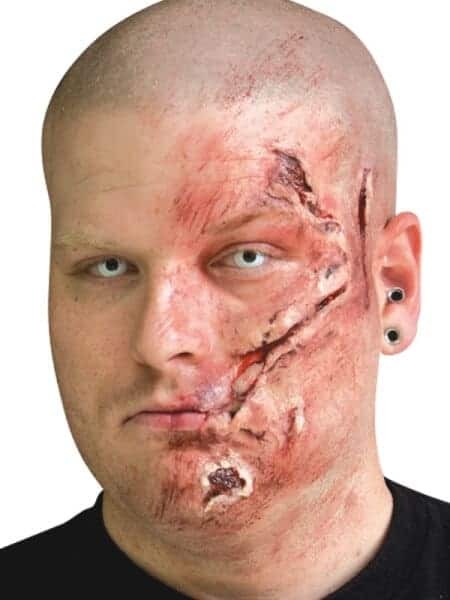 Using some of our scar and wound stickers and fake blood you’ll be able to create this horrifying damaged skin look. Combine this with some eerie contact lenses if you’re going for a sci-fi or zombie look. Who doesn’t want to look like a dentist’s x-ray of your mouth?! You’ve got two ways of creating this spooky Halloween look. For those with a steady hand, you can use some black, white and yellow paint to perfectly draw this in. Alternatively, you can visit your local Halloween store and find our Tattoo FX stickers. Simply peel them off of the sheet and stick them onto your face for an easy Halloween makeup look that’s sure to impress. For those lucky enough to have a hairless head, this is for you! This thinking cap sticker is a simple way of making sure your Halloween costume doesn’t go unnoticed. Know somebody that would look great in this? This product is a strong favourite at our Milton Halloween store! If you’re looking for some more Halloween makeup ideas, be sure to check out Corrie Side’s Halloween makeup tutorials every Tuesday. You can find them on our Facebook and Twitter pages. 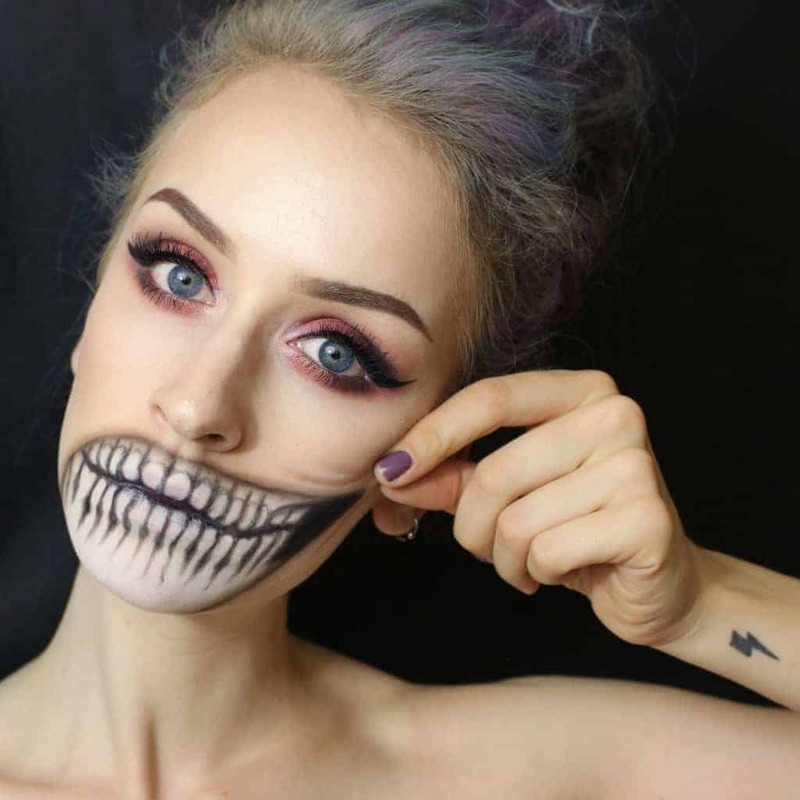 Got some impressive Halloween makeup ideas of your own? Share your photos with us, or better yet, come show it off in one of our Halloween stores. Our store (g)hosts love seeing new, creative Halloween costume and makeup ideas. You can even submit your photos to our annual Halloween costume contest – and maybe even win one of our fabulous prizes!